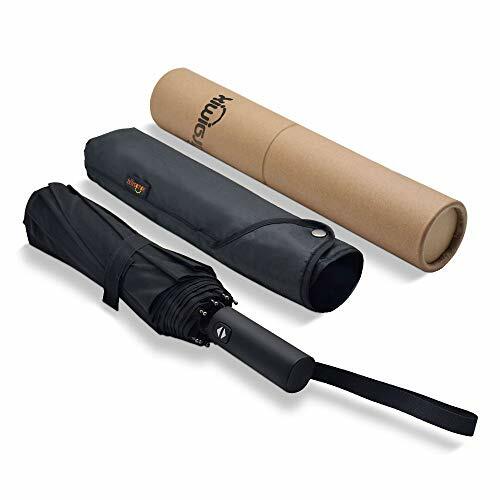 but with this perfect black collapsible auto umbrella,small enough for easy carrying but large enough to keep you dry in the rain. 【AUTOMATIC OPEN/CLOSE UMBRELLA】Quickly open and collapse the canopy with the push of a button,allowing you to open this automatic umbrella in seconds, never again struggle with opening your umbrella when in sudden rain or when your hands are full of things,the best umbrella springs open in UNDER a second. 【PERFECT for DAILY LIFE】Small and windproof umbrella,with suitable size and lightweight,9cm long handle,sleek all black design,easy one-handed operation,13.7inches long when closed and weighs just about 1lb,easy to fits into bookbag handbag laptop case briefcase etc. If you have any questions about this product by Cooolla, contact us by completing and submitting the form below. If you are looking for a specif part number, please include it with your message.